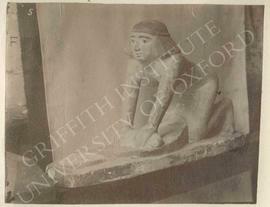 British Egyptologist. Born, Charlton 1853. Died, Jerusalem 1942. Not formally educated, was first introduced to ancient Egypt after reading Piazzi Smyth's publication of the Great Pyramid. Began his archaeological career excavating and surveying prehistoric sites in Britain, which included a survey of Stonehenge with his father William Petrie. Surveyed the Pyramids, 1880-2. Excavated sites for the Egypt Exploration Fund, 1884-6 and 1896-1905. 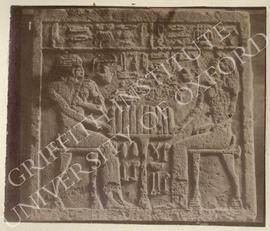 From 1887 he led his own excavations with the financial support of several patrons. 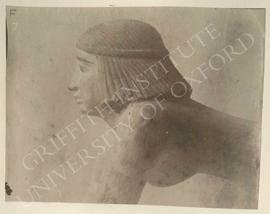 Founded Egypt Research Account, 1894, which then became the British School of Archaeology in Egypt. 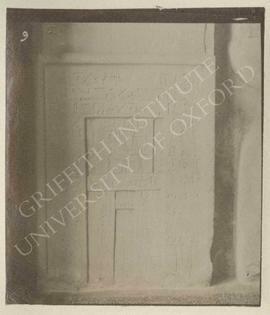 Appointed the first Edwards Professor (the first chair in Egyptology in Britain) at University College London, 1892-1933. Emeritus Professor, 1933-42. Married Hilda Urlin, 1897. Pioneered archaeology in the Near East, excavating many important monuments. Developed the method of sequence dating based on pottery analysis. The Petrie Museum, University College London, was formed from his own substantial private collection which was bought from him in 1913 by public subscription. A prolific author, he published a huge number of archaeological reports, monographs, articles, and reviews. 1. 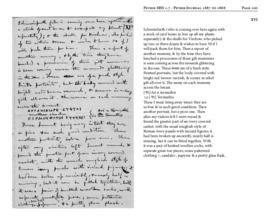 Journals and notebooks in the possession of Petrie's daughter, Miss Ann Petrie presented in 1969. 2. Photographic album compiled at the Griffith Institute from photographs in the possession of the Griffith Institute in 1954, original possession unknown. 3. 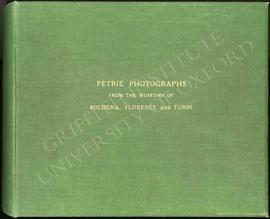 Copies of the negatives of the Italian and Gîza photographs were made from 660 nitrate negatives, presented by the Petrie Museum, University College London in 1985 (the nitrate negatives were subsequently destroyed). 1. 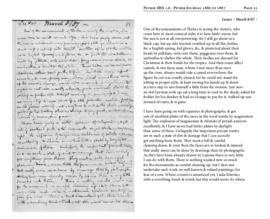 Journals and notebooks, Miss A. Petrie, mostly in 1969 but also in the following years. 2. 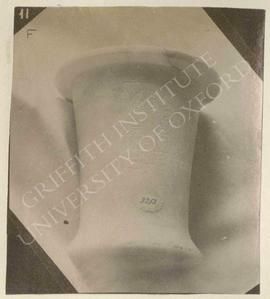 Photographs in the possession of the Griffith Institute, method of acquisition unknown. 3. Negatives, Petrie Museum, University College London in 1985. 4. 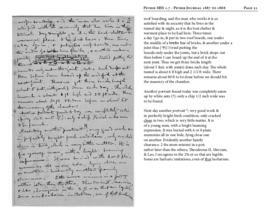 Photocopies of eight excavation notebooks at the University College London transferred from Sackler Library Archive on 13/09/2013. 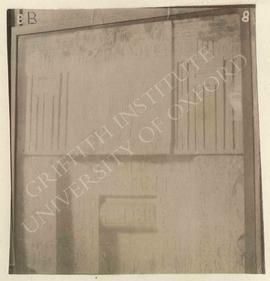 Papers of William Matthew Flinders Petrie including journals covering 38 seasons (1880-1929) and photographs of excavations. 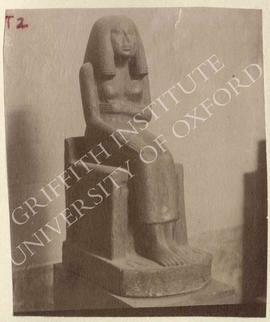 The collection also includes secondary material associated with Petrie's journals, photographs of objects in museums, souvenir photographs and photocopies of material held at the Petrie Museum of Egyptian Archaeology, University College London. Mainly kept as received. One of the sets of Italian Museum photographs have been mounted into an album, another set has been mounted onto loose sheets. 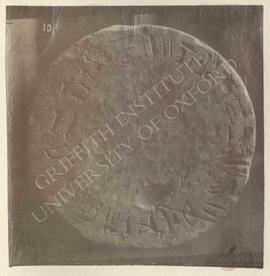 Property of the Griffith Institute. No restrictions. 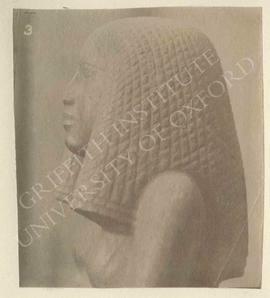 Copies of material in the Petrie Museum, University College London, consultation only. 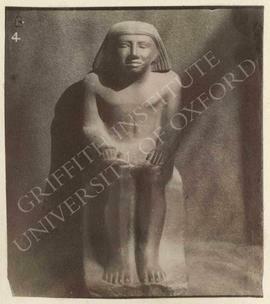 Copies of material, copyright Petrie Museum, University College London. 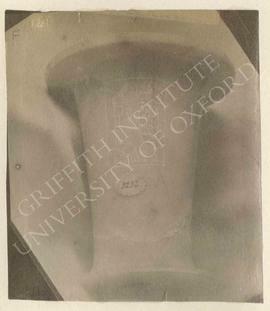 Photographs of some photographs made by Dr Y. Harpur. 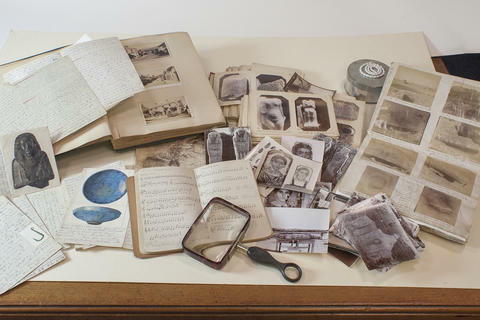 Set of modern negatives made from the Italian Museums and Gîza photographs, and some negatives made from the photographs of the Faiyûm (kept with the original photographs). Facsimile copies of the journals exist on a CD-ROM, which was presented by the Petrie Museum. 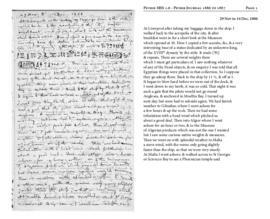 Most of the papers of Sir W. M. F. Petrie, including 113 notebooks, are in the Petrie Museum, University College London. 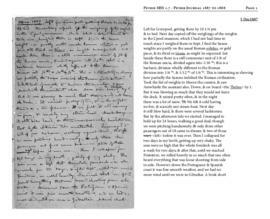 Some correspondence and documentation related to Petrie's work for the Egypt Exploration Fund are kept at the Egypt Exploration Society. 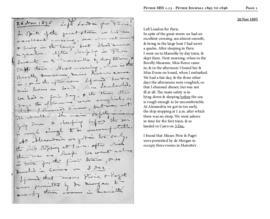 See notes made by Petrie amongst Professor Sayce's papers. The presentation of this online catalogue was possible thanks to a generous grant from the Friends of the Petrie Museum (August 2017 to March 2018).